Ladakh is blessed with beautiful and picturesque sceneries in the Northern region of India. This place is located in the North-western part of Jammu Kashmir. Every year, thousands of tourist visit Ladakh to rejoice their soul as well as their fantasies. Mainly, the snow-peaked Himalayas, the enchanting view of Zanskar, the exotic valleys, clear and peaceful Indus River will rejuvenate your mood. Apart from these natural sceneries, Ladakh is also known for adventure sports like Jeep Safari, River rafting, trekking, mountain biking, hiking, and others. If you are planning to visit Ladakh in this coming schedule, then why not go for the Manali Leh Jeep safari package. Well, a road trip to heaven can be fascinating as well as memorable. There are many adventurers, who just love to travel Leh Ladakh via road. A Jeep safari tour Manali to Leh can be very comfortable and relaxing. The ten days of Jeep safari experience amidst those high motorable roads in the world, will give you some new expressions for life. There is no need to get confused about the Manali Leh Jeep safari tour, as a complete itinerary has been described below. Check the feasibility of the below-mentioned itinerary for Ladakh tour and grab your slot as quick as possible. 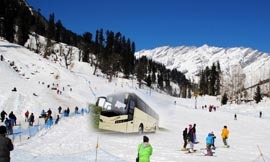 Simply book a seat in the Volvo AC bus from Delhi to Manali. You can easily start your journey in the evening and will reach Manali by the morning. There you need to check-in the pre-booked hotel. Make yourself calm and take some good rest all throughout the day. In the evening, go towards the Mall road and some local shopping areas. Return to the hotel by night and enjoy a comfortable sleep. So, from here the exciting trip starts. You need to start early in the morning, so have your breakfast quickly in the hotel. The journey will be maintained via Rohtang pass & Baralacha. After covering little distance, you will enter into laps of the Himalayas with breathtaking views in your eyes. You will be staying in. The total distance to be covered is around 135 km, which will take approximately 6-7 hours. The journey will start early in the morning. 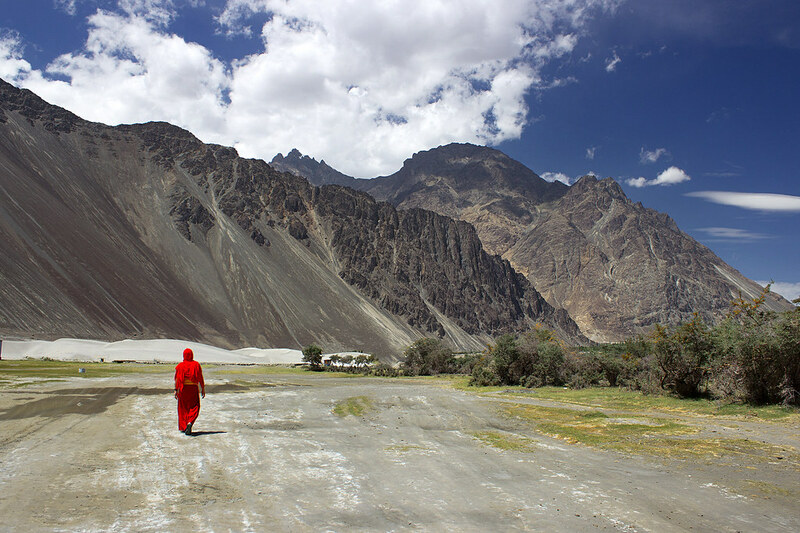 You need to head towards Lahaul Valley, where the travelers will halt for some sightseeing. You will witness the prominent attractions of Lahaul Valley – Koksar, Gandla, and Sissu. You will also witness some beautiful Cave monasteries on the entire way. Just seven km from Lahaul Valley, there comes the Tandi, where you can see the stunning convergence of Chandra River and Bhaga River. After that, you will be covering more 32 km to reach Jispa. The night Stay will be at the hotel. The day is going to be little hectic as you have to cover around 200 km to reach Tsokar. In general, it takes around 7 hours to complete the journey from Jispa to Tsokar, so it is recommended to have some good patience. You have to cross different high altitude mountain passes like Baralacha La, Naki La, and Lachalung La. All these mountain passes are situated above 4500 meters from sea level. Indeed, the views from such a height are fascinating. On the way to Pang Plateau, you will witness rocky roads with precipitous cliffs on both the sides of the road. Reach Tsokar by the end of the day, and overnight stay in the hotel. The day will be very much entertaining and refreshing, as you will get to capture some beautiful natural scenery all throughout the way. The distance from Tsokar to Takthok is around 150 km. 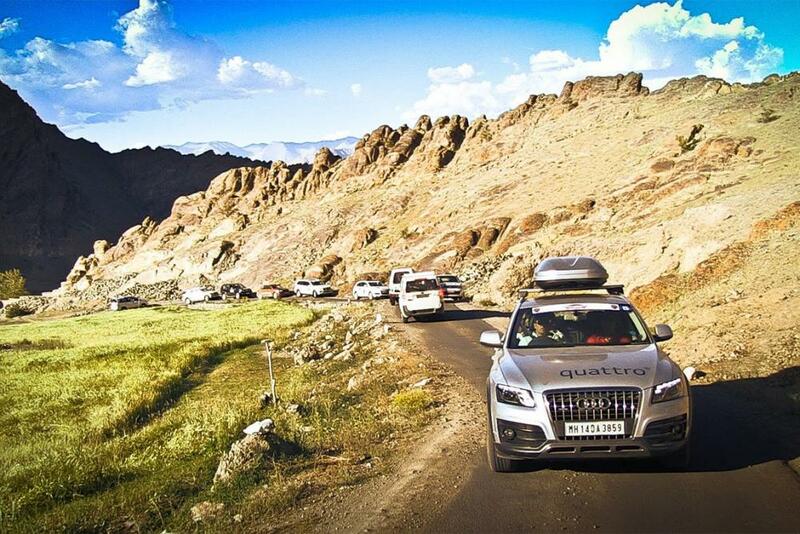 You will cover the world’s second highest motorable road – TangLang La on your way to Karo. There will be a halt in Karo to enjoy the sightseeing. After that, the journey will again start from Karo to Thaktok. Enjoy your stay in the hotel. You will cover the Wari La pass at an elevation of 5303.52 meters, where the roads will be little curvy and thrilling. After traveling through such high mountain passes, you will reach Aghyam, which is a small remote village. You can stay here some relaxation and can again start the journey towards Khalsar. Khalsar is the junction of Nubra valley and Khardung La. Thus the surrounding is peaceful and attractive. The camps will be ready at Khalsar, and the overnight stay will be maintained their only. The day will be full of sightseeing sceneries, as the first destination is Diskit. From there, you need to travel 20 km to reach the Diskit Gompa. Here, you will witness the ancient monasteries of Lord Buddha, which were constructed in 1420 AD. Then, after eight km from Gompa there comes the Hundar, which is popularly known as Sand dunes, Fruit orchids, rye fields, barley, and others. The journey is then directed towards Panamik village near Hundar. You will just love the stunning backdrops and hot water springs in Panamik. After exploring all these places, the jeep will take you to Sumur, where you have to spend the night in a hotel. You will again return towards Khalsar via Khardung La to reach Leh. There will be a series of snow-peaked mountains on your road towards Leh. You will greatly enjoy the spectacular mountain town of Ladakh and can spend some time there. Visit Leh by night and rest at your hotel. Start fresh from the morning; the first halt will be at Shey. This place is popular for Buddha Shakyamuni. After this explore the Thiksey Gompa, just near to it. Then go to the Hemis monastery, which is the richest Gompa in Ladakh. Again, don’t forget to visit the Stol palace, as you will get to know about the history of Ladakh. Return to the hotel by night and enjoy a comfortable sleep. Reach airport early in the morning and get a direct flight to Delhi. It is for sure, you will enjoy the Manali Leh jeep safari tour, with the above itineraries. For more details, don’t hesitate to communicate with the Trip councilor.